Xiaomi unveiled its latest flagship, the Mi 8, today in China and with it came the latest upgrade in terms of software. 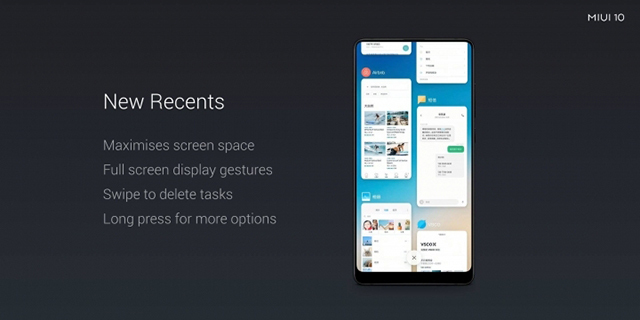 The Chinese tech giant also showed off the upcoming avatar of its highly customized Android OS – MIUI 10. The MIUI 10 comes with several visual upgrades and a bunch of performance enhancements to make the interface faster and more responsive. Xiaomi seems to be preparing for the next wave of mobile computing and has launched a slew of features which use AI for higher efficiency. Xiaomi has overhauled MIUI 10 with inspiration from Android P – as we saw in this recent leak – and a lot of toggles and slider bars now have a more rounded design than before. In fact, the status bar and the notification shed now get a new design and so does the volume control which is now more elaborate. Another big highlight is the revamped Recents page which will line up opened apps vertically in two columns to use the area of the display more efficiently. This, however, removes the possibility of Android P’s copy from Recents feature coming to MIUI 10 since the twice the number of apps will be crammed into a single window. To make app-loading easier, Xiaomi is using artificial intelligence in the “AI preload” feature to reduce the time for loading apps. By learning your usage patterns, MIUI 10 will load apps in the background even before you request so. With this, Xiaomi aims to eliminate the wait before loading an app completely. The AI will also bring a bokeh mode to not just new phones but also older ones, even if they just have single camera setups. The AI portraits mode will be available on both the front and the rear camera. 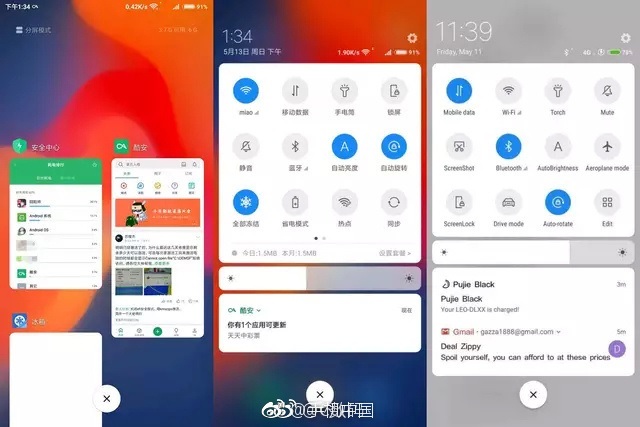 MIUI 10 is also bringing swipe gestures, which appear to be inspired by the iPhone X (just like Mi 8’s design, and the Face ID in Mi 8 Explorer Edition) and some of the applications we know so far include swiping to show Home screen, Recents, multi-window, and for pinning the app. Xiaomi has also announced its own virtual assistant which will offer updates on traffic, will read messages for you, help you order food – just like Google Assistant. It will also be able to wake the devices up after listening to voice commands and perform basic tasks on the smartphones. The assistant is exclusive to China and only speaks Chinese language and is unlikely to make its way to other regions, presumably because it has been developed to fill up for Google’s absence in China. 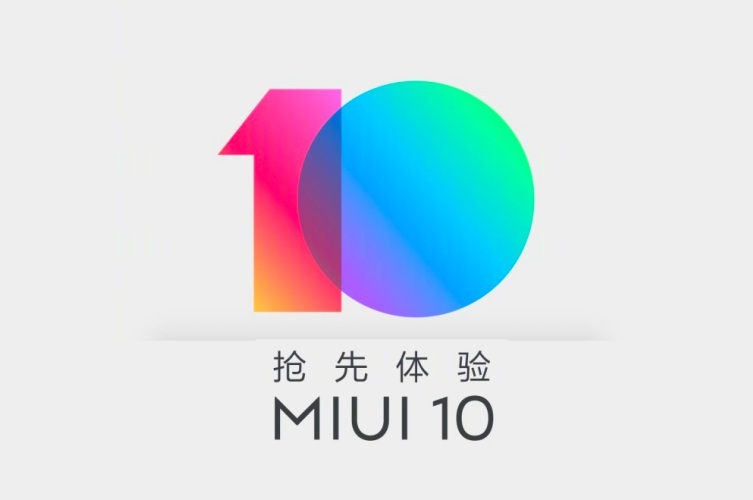 MIUI 10 will available for testing to Chinese developers starting tomorrow i.e. June 1 and will be more widely available in the country later in the month. There is no information about the global availability of MIUI 10 yet and we’ll inform you when we have more information about it. We will try to get out hands on the Chinese ROM and dive deep into the new features as soon as possible.